I know what you're thinking, can Fridays get any better? Well we're here to tell you they most certainly can! With Black Friday Deals to die for, you can be stepping into the new year in style with some extra cash in the bank too! The best Black Friday Deals are brought to you by some of your favourite brands and shops, go luxury with Gucci and high street with River Island, no matter the budget we've got you covered! 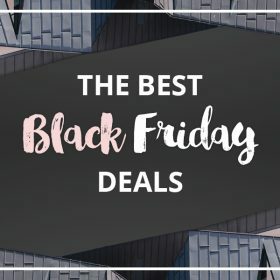 So if you've had your eye on a new pair of shoes or just want to see what your favourite shop has on offer make then most of the Black Friday Deals - happy shopping!